ABC Russian: How to say Merry Christmas and Happy New Year in Russian? 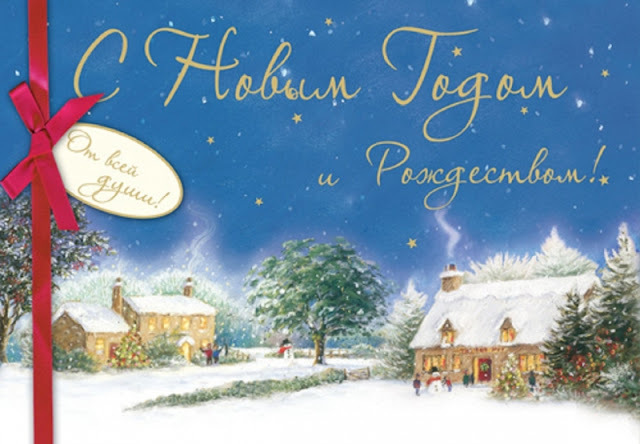 How to say Merry Christmas and Happy New Year in Russian? Christmas and New Year Holidays are coming soon and with holiday season around I believe it is time to dedicate this post to special wishes on these beautiful occasions. Below you will find the most common ways to wish someone a Merry Christmas and Happy New Year in Russian, plus many more useful common Russian phrases to use around the Christmas period. You can use the following festive Russian greetings for your Christmas cards, emails, messages or even for making a quick call. With Christmas Day finally here, why not impress some of your Russian friends by saying “Merry Christmas” in Russian language? Send a message in Facebook, send a “tweet,” or drop an e-mail. Note that in Russian Christmas celebration take place on the 7th of January. We do not celebrate Catholic Christmas on the 25th of December. New Year greetings in Russian. You will also learn how to wish someone a Happy New Year in Russian.